For a while, I was really stumped on what to do for my son's second birthday party...we knew it would be small, but didn't know what direction to go in terms of a theme. He's not really into any characters/themes of sorts (i.e. Elmo, trains, etc. 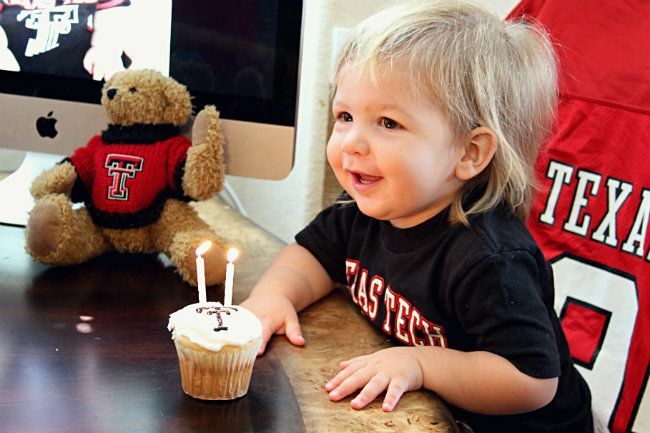 ), but oh how this kid loves himself some Texas Tech (our Alma Mater)! Each morning, he asks "Dada?" 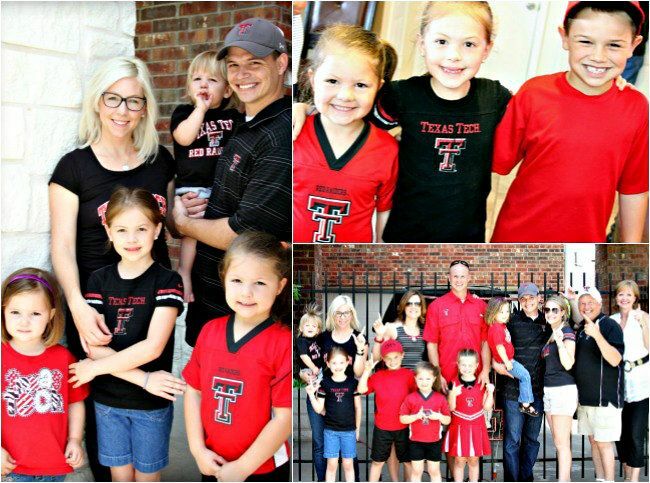 which is his word for Texas Tech...and means that he wants to wear anything with a Double T logo. I kid you not, tears ensue when I haven't done his laundry and there's no clean Double T attire to be found. 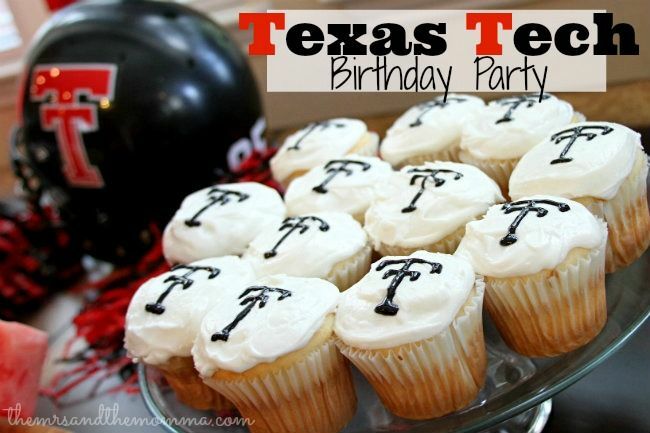 So for his little party, we decided to throw a Texas Tech themed birthday and man was he excited! 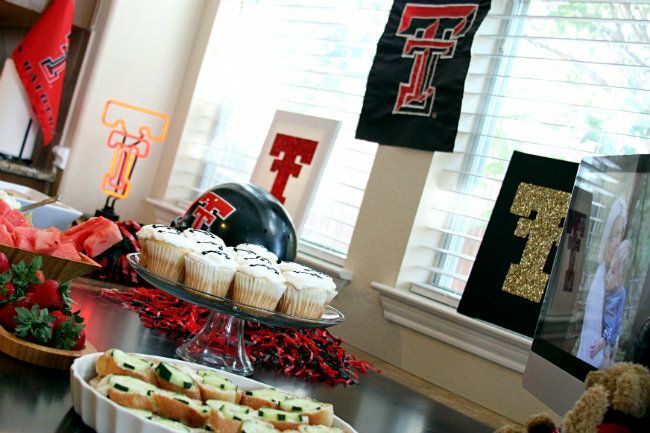 My sister-in-law lent us most of the decor, but doing a Tech themed party without some of these things would be just a simple for any Red Raider fan...especially during football season! 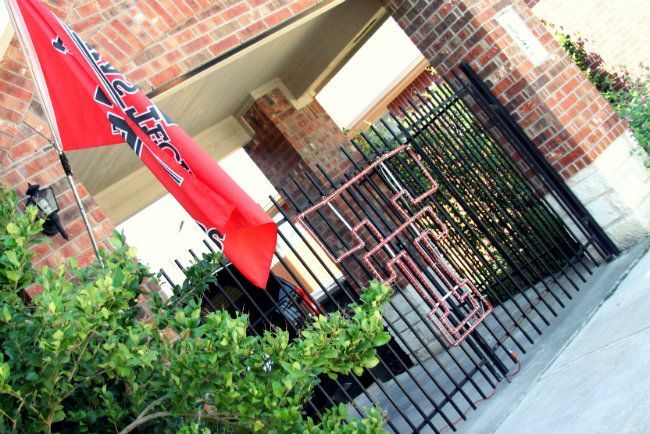 >>>Display ANY and ALL Tech paraphernalia you own. Go all out. 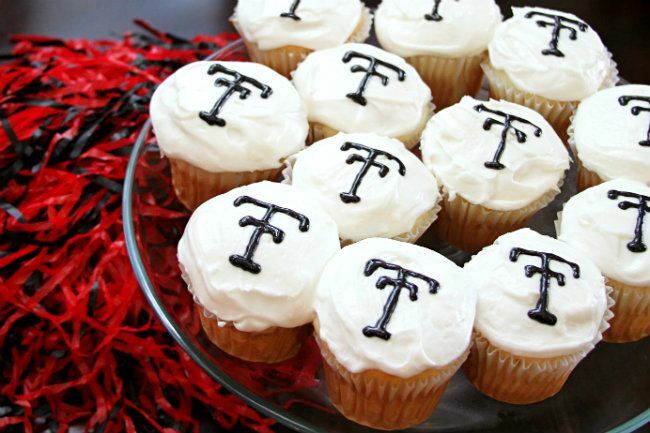 >>>Ask all party guests to don their Tech gear...gotta represent! >>>And don't forget to take pictures! What an adorable birthday, I love this! 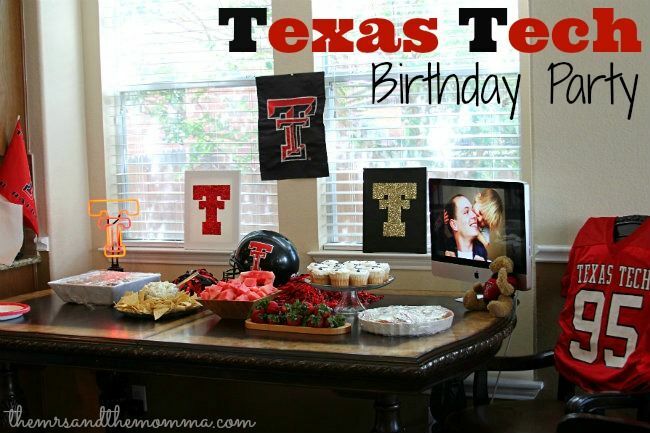 So sad we can't ever do something like this since we're a split family and I refuse to have burnt orange in my house, haha. Such a great idea!